The Hillbrook Inn & Spa in Charles Town is among West Virginia venues celebrating Valentine’s Day. I believe West Virginia was made for romance, and I can think of no better Valentine’s Day weekend adventure than one spent dining after a drive through the breath-taking West Virginia countryside. For a romantic like myself, it’s a wonderful weekend to dine out, when you can secure reservations. Here are four romantic venues I’ve chosen as favorites this year. One of the world’s most esteemed resorts, The Greenbrier, at White Sulphur Springs, is nestled in a bright valley in the scenic southern Allegheny Mountains. Believed by many to have been imbued with healing properties, the springs there began attracting visitors in 1778, and by the Civil War they were being patronized by wealthy Southerners who came in summer to socialize and escape lowland heat. Its 700-guest-room hotel and spa are surrounded by gardens, guest houses, and golf courses. Twenty lounges and restaurants and a world-class casino regularly host royalty and notables from across the globe. Valentine’s weekend at the resort this year will include wine-tasting classes led by beverage director Brian McClure. “Cocktails for Lovers” on Feb. 9 will feature six specially designed drinks for the romantically inclined, and “Wine and Decadence,” on Feb. 10, will feature perfectly paired wines and chocolates. Reservations are recommended, and both events are open to overnight and day-guests of the resort. 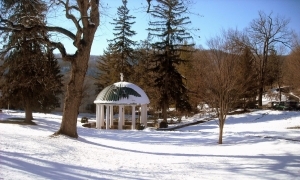 Visit the Greenbrier website for more information or call 855-453-4858. For a more metropolitan atmosphere, couples may prefer to dine at the Chop House or Tidewater Grill in downtown Charleston. In the Charleston Town Center, both restaurants are providing diners plenty of options during a ten-day celebration of romance rather than limiting them to February 14. The Tidewater Grill is one of the region’s top destinations for seafood, and The Chop House, for grain-fed prime beef and a premium selection of wine. Both offer valet service. Couples should secure reservations at either restaurant between Feb. 9-18 for the first three-course dinner event. Visit the Chop House and Tidewater Grill websites for more information. In historic downtown Morgantown, upscale and high-end Tin 202 is offering a four-course Valentine’s meal with the option of a wine flight paired with each course. Visit the Tin 202 website for more information or call 304-212-5863. 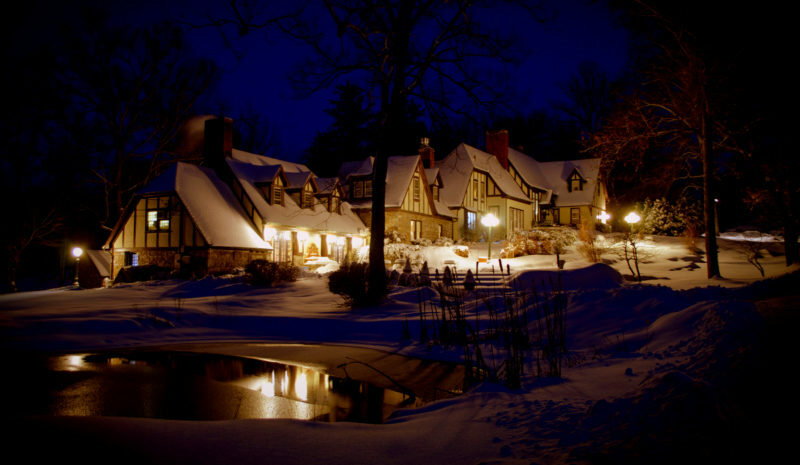 Steeped in early American history, Charles Town and the breathtaking Hillbrook Inn, which includes a spa, restaurant, and bed-and-breakfast, are tailor-made for romantic weekends. Few resorts in West Virginia are as appropriate for couples to enjoy an unforgettable dinner and overnight stay. From February 9-17, the resort’s restaurant will offer a candle-lit, five-course Valentine’s Day dinner, expertly prepared with the freshest local ingredients by its new culinary team. Reservations for chauffeur-driven wine tours are also available. Candlelight dinners with roses and chocolates in guest rooms are routinely available with the purchase of date night, babymoon, honeymoon, or engagement packages. Visit the Hillbrook Inn website for more information or call 304-725-4223. 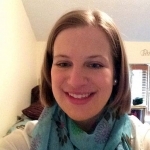 Katie Johns is a freelance writer with a penchant for West Virginia culture. A native of the Kanawha Valley, she is a graduate of West Virginia State University and holds a bachelor's degree in English.